Zola, who spent a glittering seven-year spell at the west London club in the late 90s to the early 2000s, believes that Higuain will be a massive hit for the Blues, owing to the Argentine’s consistent ability to find the back of the net at the highest level. While the Argentine arrives in England from Italy, a league where much of the focus lies on the tactical side of things and less on the physical, the current Chelsea No2, who made the same switch when he signed for the Stamford Bridge outfit from Parma in 1996, thinks that Higuain possesses the necessary football IQ to cope with the pace and physicality of the Premier League. Back then and until today, Serie A is perceived as a slower league to the Premier League yet even so, Zola managed to adapt quickly to the English game. 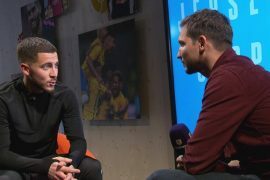 The Chelsea legend is well-placed to offer his advice to the newly-arrived Higuain and in a recent interview, Zola intimated his desire for the Argentinian hitman to first understand the quirks of top-flight football in England in order to get his feet sorted out quickly. “I think it will be very important for him to read the league, read the weaknesses of the league but also potentials of the league, don’t underestimate but have an open mind,” said the Chelsea assistant manager.